I’m so excited to share the tutorial for the Sydney skirt with you. 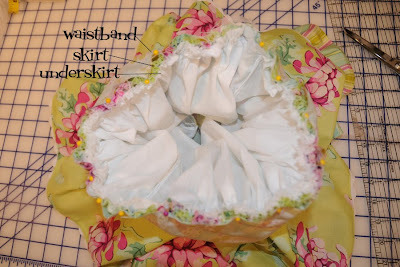 It is similar to my last skirt tutorial but a bit “new and improved”. Just so you know I did NOT come up with the idea for this skirt. I have to thank the amazing Heather Bailey for that one. 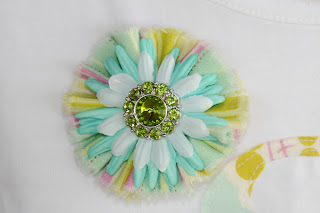 Last spring she had an adorable skirt on her blog and I JUST had to make one… this is how I “figured” it out… good ole’ trial and error… so I thought I’d share with all of you! 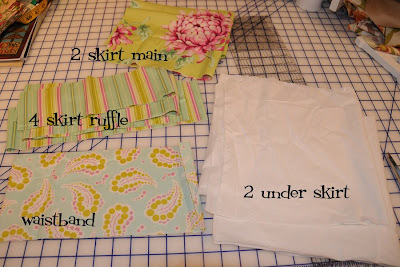 First you need to determine the size you want to make your skirt. Mine was about a size 6-8. Take the waist measurement and times it by 2. This will give you the WIDTH for your 2 skirt front pieces. After you figure out how long you want it (by measuring from hip to where you want the skirt to fall) you can cut your pieces). 12″ was a good length for my daughter. 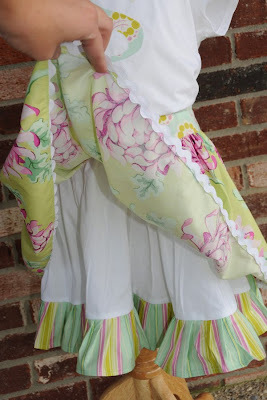 Sew the 4 skirt ruffle pieces together at seams. Press seams open. Finish hem on one side buy turning fabric under 1/4 ” then turning under another 1/4″ and sew. It will look like this when finished. You could also finish this with ric rac instead if you like. Gather the ruffle. I got a ruffling foot.. what a great invention! You might have one and not even know it! It is harder to figure out how to put it on your machine than to use it. 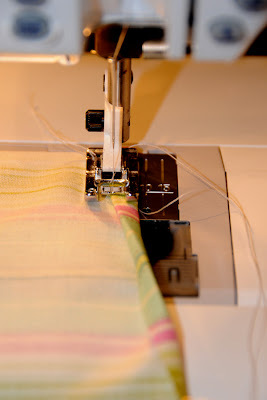 If you don’t have a ruffling foot, run 2 rows of gathering stitches (set your machine to the longest stitch lenght) along edge. Pull stitches until gathered. Sew 2 underskirt pieces together at side seams. 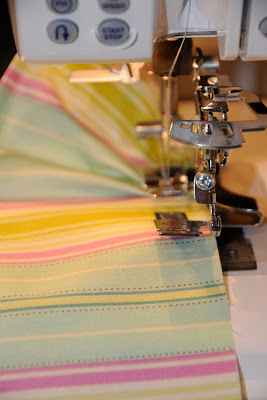 Finish seams with serger or zig zag stitch. Attach ruffle to bottom of underskirt pieces, right sides togehter. Sew. When you get back to where you started attaching the ruffle, adjust gathers and sew a seam in ruffle. 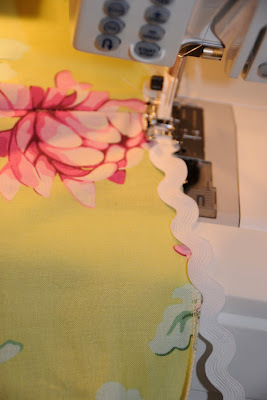 Using a zig zag or serger, finish this seam off. 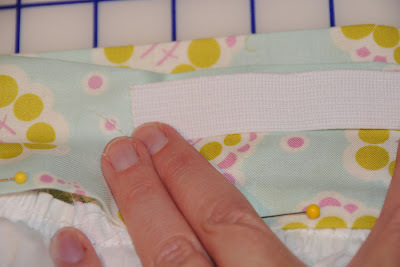 Sew 2 skirt pieces together at side seams. Finish seams. 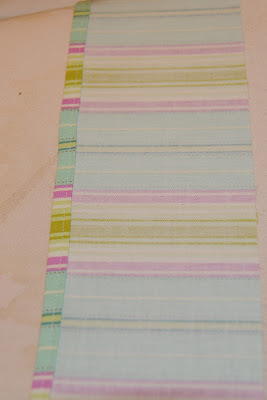 Finish bottom hem of skirt with either zig zag or serger. Attatch ric rack to bottom of skirt on the right side. Sew straight down the middle of the ric rack. Turn the ric rack under… then top stitch to hold ric rack in place. PRESS well. Take your waistband piece. Use a marking pen and mark the fold on one side. 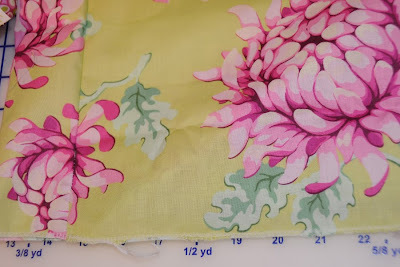 On the other side, sew a 1/2″ seam. 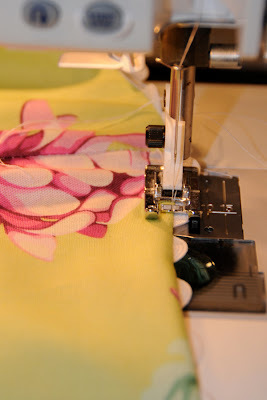 Run 2 rows of gathering stitches on your main skirt piece AND your under skirt piece… gather them seperately…don’t sew them together at this point. Pull up on gathering threads, and matching side seams, fit into waist band. 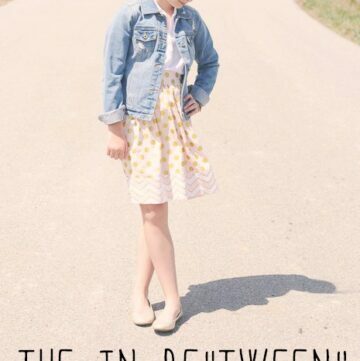 You will have your right side of your waist band, then your main skirt, then your underskirt. Stitch all layers together. Making sure that you caught all the gathers as you stitch. 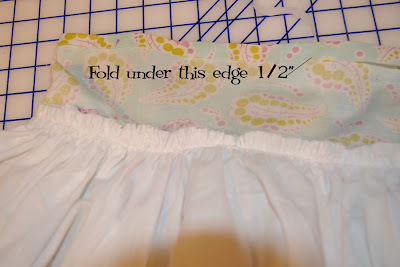 Fold under edge of waistband 1/2″ and press. Fold waistband over skirt so that the folded edge lines up with the seam of the skirt. Pin in place. Press. Lay your elastic on your waistband. Use a marking pen and note where lies. 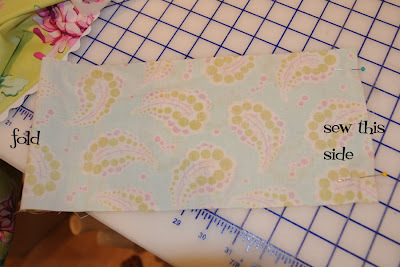 Along this line, sew a casing for your elastic. Leaving open a 1″ hole to feed elastic though. Using a safety pin feed though casing. Sew elastic together. Sew casing closed. By hand, sew waistband to skirt. 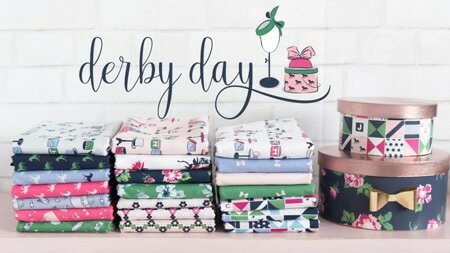 I’d LOVE to see the skirts you make! Leave a comment with a link if you do! And please please ask me questions if something is not clear. 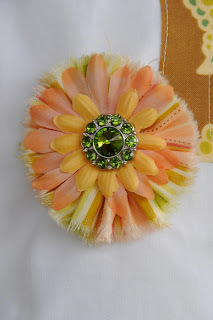 The posy pins, were made with a tutorial on Heather Bailey’s website, I just substituted scrapbook flowers for felt (since I don’t have any of that FAB felt yet! it looks so yummy!) 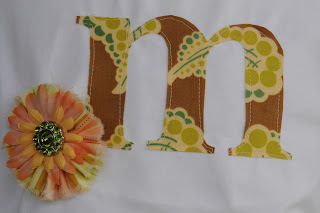 The button was from Joann’s… and the letter’s on the t-shirts are simple applique… just printed a letter on (used times new roman font) paper, traced it on wonder under, ironed it on then sewed a simple seam around it. You can see more of how I did it here. Thanks for the tutorial – this will come in handy with my two little girls – cheers!! Thank you so much for sharing this tutorial! 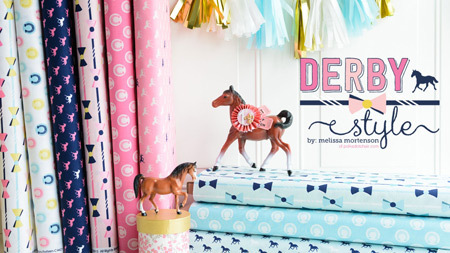 I can’t wait to try this for my little girl! GREAT tutorial. I don’t know why I am sooooo terrified to sew clothes. This almost makes me feel confident. Almost . 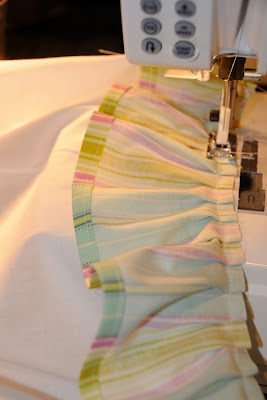 . .
“Fold waistband over skirt so that the folded edge lines up with the seam of the skirt. Pin in place. Press.” Do you ever sew that in place? “Along this line, sew a casing for your elastic.” Casting? Ummm, I think I know but I don’t see that your skirt has a stitch mark in the middle of the waistband fabric. I’m been almost done for a week now & have thought about it & can’t come up with the answers. Thanks for you tutorial & help! 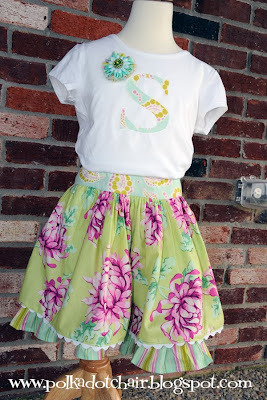 Love this skirt, and great tutorial! 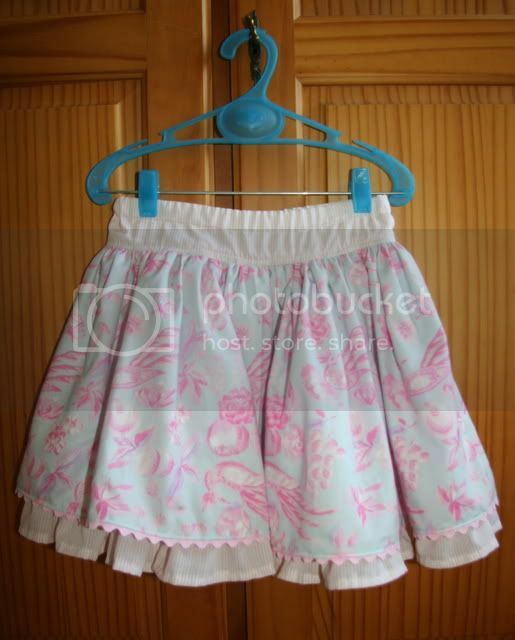 I am planning to make skirts for 8 of my granddaughters for Christmas and this is the kind that some of them like. 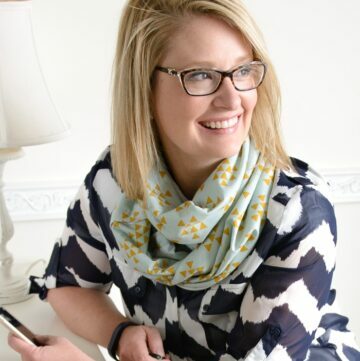 Been sewing for over 50 years, but always ready to try something new. I love this!!! I just made it for my 6 year old daughter for a Christmas gift….I can’t wait for her to see it! love this pattern. so cute. 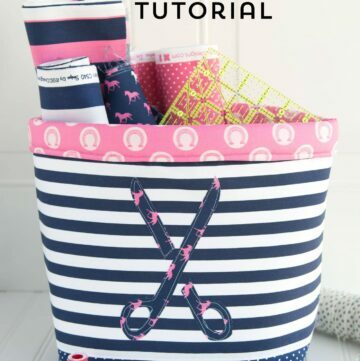 Thanks for the great pattern/tutorial, I’d love to give it a try. Hello! I too am nearly finished with this really cute skirt. Really good instructions and I am so excited for how it’s coming out. But I also am confused about the waistband part. I’ve got one side stitched to the skirt because I put all the layers together and sewed but when I turn the other end over the fabric, I don’t want another stitch, and then another for the casing. i also don’t see a casing stitch line on your sample pic. Can you email me at [email protected] and let me know what I’ve done wrong? Thank you! Hello! 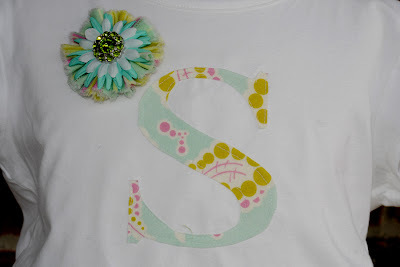 I LOOOOVE this and would like to make for my two girls. I’m a little stumped on the waistband– I do not see the elastic waist in the sample photos. Does the finished skirt have a wide waistband that has the elastic portion at the top, with the bottom portion of the waistband acting as a drop-waist? Or are you only using a little bit of elastic hidden in the back of the waist somehow? Thank you so much for this tutorial! 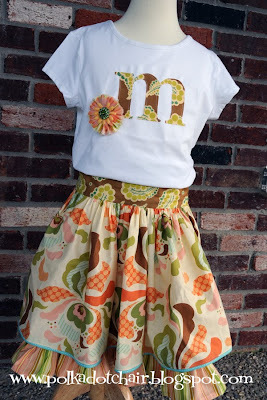 I love the look of this skirt (and so did my daughter), so I made one for her. Your instructions were super easy to follow, and I’m so pleased with the result! Thank you again! Here’s a picture of the finished product… I hope it’ll appear in this message. Hello again! I just wanted to tell you that I made this skirt almost two years ago and it was such a good tutorial that the skirt has come through two children and washings without a single problem! 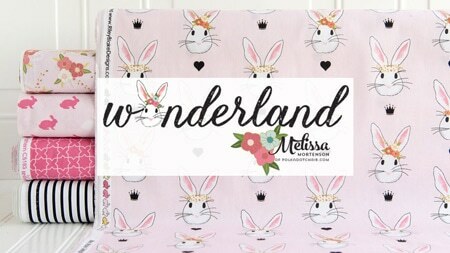 I decided I wanted to make some more for my oldest child but couldn’t find this tutorial for the life of me but after spending hours looking for it, here it is!! I’m sooo happy and wanted to let you know, after doing many other tutes, that this one was excellent – not to mention the finished skirt is so cute. I get compliments every time my kids wear it. I posted your link on my blog; hope that’s ok. I have question about the waistband. Does the elastic go all around the waist or just in the back? Can’t wait to finish this skirt!!! But I’m stuck on the waistband as well…..please advise!!! How do I make a waistband that sits as perfectly flat and sharp looking as yours does?? My email is [email protected]. Thanks for sharing the wonderful tutorial — it really is a gorgeous skirt!!! Thanks so much for getting this back! Now, I can finish my daughter’s skirt. Yea! 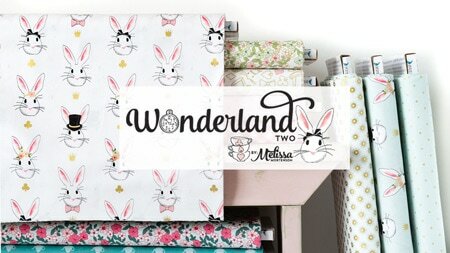 I can’t wait, it is such a cute skirt! Sad to say that my youngest daughter has just outgrown the first one of these that I ever made. 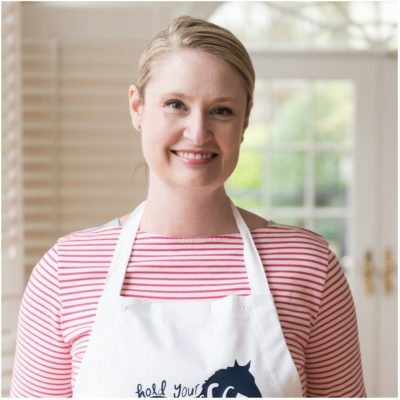 Of course, it wasn’t made for her – it’s been passed down from girl to girl and has been much loved, and is now going to a younger cousin who’s sure to love it as well. The good news is that now I have a reason to make another one. 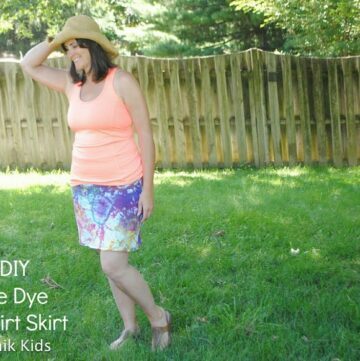 I love these skirts, so pretty and so practical as well – they’ve been worn to parks and playgrounds, kinder and beaches, as well as plenty of birthday parties. And they’re fun to make too. Love your work! Hi – my 3 year old was looking at my plastic drawer thing that is stuffed full for fabric for my Therapy Pack business and had a gleam in her eye. She wants a twirl skirt…. Yeah so here I am looking for instructions lol. I made her one when she was a year old but not sure where I put the instructions. Would you make it with or without the underskirt? She wants to twirl and feel it swing out like a “tutu”. Likely she’ll wear it over her leggings, to church and during the summer.